I have been thoroughly enjoying teaching my kids craft classes and due to their popularity and the frequent requests I am starting weekly kids classes next term. 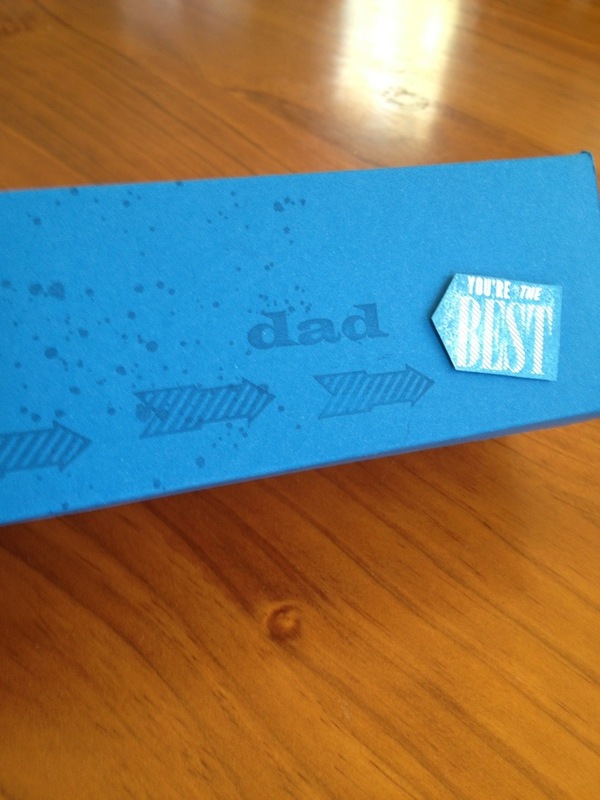 Last month we focused on Father’s Day and the children got to make one of two cards for their Dads. One group also got to make decorated gift boxes for their Dads. I’m not sure who had more fun, me or the kids. This card was quite easy to make. 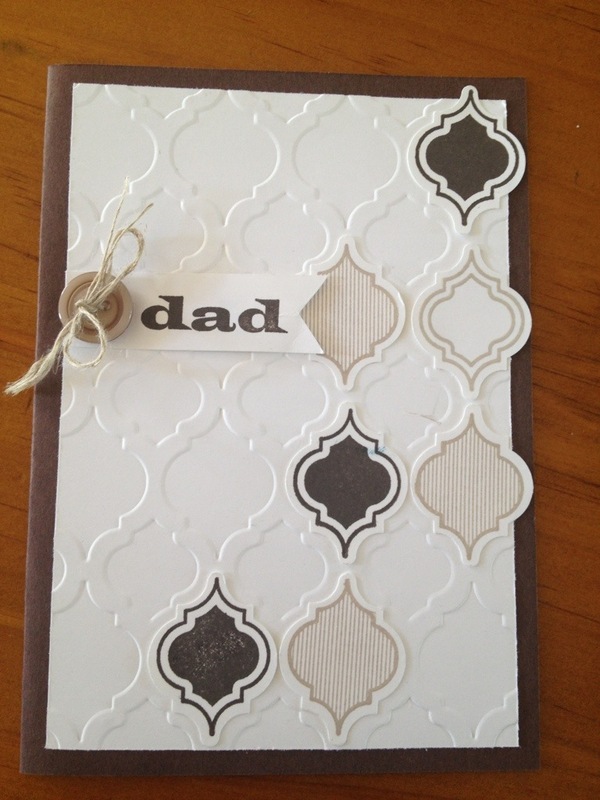 It uses the mosaic madness stamp set and matching punch and lovely mosaic embossing folder. Here is the decorated gift box. Easy and filled with chocolates for Dad. If you would like more information about kids classes please don’t hesitate to contact me.